The place to be this Sunday December 30th is THE SALON's 5th annual NEW YEAR'S EVE EVE party. This year, the Salon continues the tradition with another spectacular lineup of more than 40 performers for your lounging and dancing pleasure! This year's venue is THE DL, an elegant new club built into two brownstones that were combined to create a beautiful three floor venue, each featuring its own bar and dance floor, plus the huge rooftop lounge even has a separate outdoor smoking area... bring your cigars and pipes! GELBER & MANNING The feuding vaudeville lovebirds. The Salon's signature commitment is equal billing for quality performances, dancing, AND cocktail culture. In that spirit of bon vivant, Loungerati is honored to be included in The Salon's 2012 NYEE party as their in house cocktailian along side award winning bartender ERYN REECE of Mayahuel! $110 - At the Door (cash only)VIP Tickets - Two hour premium top-shelf open bar from 8-10pm. Skip the line at the door, and gain exclusive access to VIP-Only area, with cocktail tables, seating and more. Limited availability. Food not included. * All Ticket sales will be capped to prevent overcrowding. * Early-Bird discounted ticket sale ended on Dec 16th. * All advance ticket sales end Sunday Dec 30th at 12 noon. Revive your corpse after painting the town red with the Breville Dual Boiler. Espresso perfection requires precision temperature and pressure control, consistently, every time. At the heart of this machine is its dual stainless steel boiler heating system. The dedicated espresso boiler is adjustable (190°-205°F) for different bean roasts and origins, while a separate steam boiler offers instant and powerful steam on demand. So you can extract your shot at the right temperature, delivering optimal flavor, while simultaneously steaming your milk to cafe quality. Luigi Borrelli corded slacks, in burnt orange. Owned by the Naples-based Borrelli family, this upscale Madison Avenue boutique is known for its slim, elegant suiting. Set apart from the work of more stolid English haberdasheries, Luigi Borrelli clothing features trim, stylish look. may we suggest their delightful handmade pants in festive orange this season? Need to make notation barside of a new cocktail discovery? Grab for the Rhodia Webbie. Why settle for the (Moleskin) imitation when you have the original, as French schoolchild have known for years. The Webnotebook (aka Webbie) is the pocket-sized journal goes everywhere and is filled with functionality. It has a hard leatherette cover embossed with the iconic Rhodia logo, plus a convenient expanding rear inner pocket and elastic closure that matches the cover color.Choose from lined, blank or dot paper - all 90 g, ivory-colored, acid-free, and pH neutral paper. 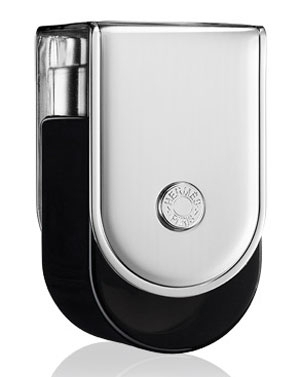 Voyage d'Hermes Eau de Parfum: a fragrance to share for both men and women. The composition is built around the above notes of the original Voyage d'Hermes with added floral notes of rose and warm amber. The composition provides lemon, cardamom and spices in top notes. A heart hides hedione, floral notes with accentuated rose, green notes and tea notes, with a strong trail of musk combined with blond wood and warm amber. To die for. Home Bar Basics and Not-So Basics by Dave Stolte ($12.75) nominated for Best Cocktail Writing Spirited Award at Tales of the Cocktail 2012, this must have pocket cocktail guide is a welcome addition to any home bar. Stolte provides recipes, insightful commentary and even illustrations. Umamimart's Yarai Mixing Glass and Trident Bar Spoon gift set ($50.00) - The Japanese beaker shaped heavy bottom mixing glass and iconic trident fork bar spoon up your home bar game. Cocktail Kingdom stocking stuffers: Lewis Ice Bag - perfect way to make crushed ice for juleps ($3.95), CoCo Ultra Premium Fine Strainer - essential strainer for citrus cocktails ($6.95), Cocktail Kingdom Steel Julep Spoon Straw -25 5" spoon straws set pack ($37.95) - no need to swipe them from Little Branch anymore! 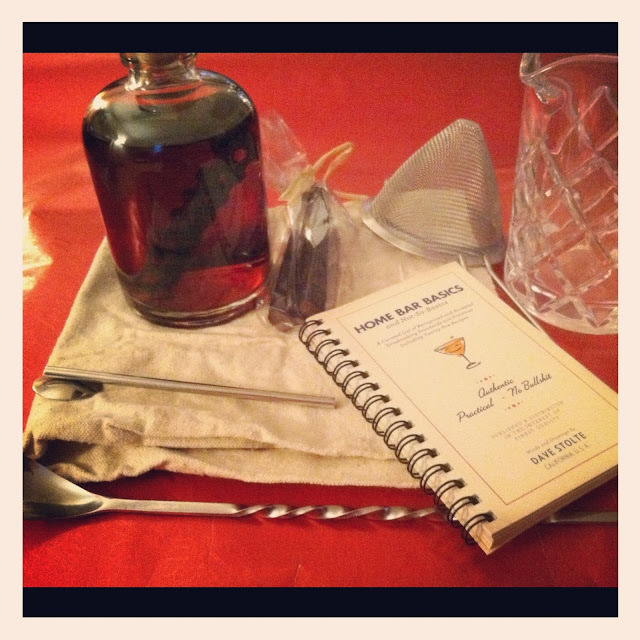 Other great home bar gifts available at the Loungerati Home Bar Store! Condé Naste, publisher of such classic magazines as Vogue, Vanity Fair, and the New Yorker, offers a selection of fabulous photographs from their archives at very reasonable prices — these are obviously not vintage prints, but it's still a treat to be able to have access to such iconic images—as well as many relatively unknown but equally stunning shots. Particularly recommended are images by Edward Steichen, Cecil Beaton, Horst P. Horst, Louise Dahl-Wolfe, George Hoyningen-Huené to name just a few. The prints are available framed or unframed and in a number of sizes and finishes—just please don't insult the medium by ordering one on canvas!! Vinyl Mania, ($59.95) at Taschen web store - a two-volume book set—album-sized at 11.8 x 11.8" of course, and 556 pages—is packed full of the coolest, craziest jazz album covers from the 1940s to the 1990s ("the decline of LP Production" *sigh* ). Included are record covers from Sara Vaughn, Stan Getz, Cannonball Adderly, Duke Ellington, and Quincy Jones to name a few. The Rita Cocktail Dress from Bettie Page Clothing ($102.00) - knock them dead at the office holiday party with this killer turquoise dress that would make Joan Harris proud! Bonus: The Bettie Page Clothing just opened a NY location at 303 Bowery - 2013 will be a dynamite year! Red and Navy Stripped Sock Garters from Fine and Dandy ($19.00) - Besides being a very personal fashion statement, sock garters are actually functional. I don't know about you but I have yet to meet a modern sock who elasticity survives more than a few months. Eliminate the risk of sock bunching around your ankles with a smart pair of sock garters. While you are at it, pick up some classic shirt garters too. Garters for men, no longer geezer but geezer chic! Navy Cocktail Pocket Square also from Fine and Dandy ($39.00) - this silk work of art will be a hit for any well dressed cocktail man in your life. In other words, every male lounger you know. 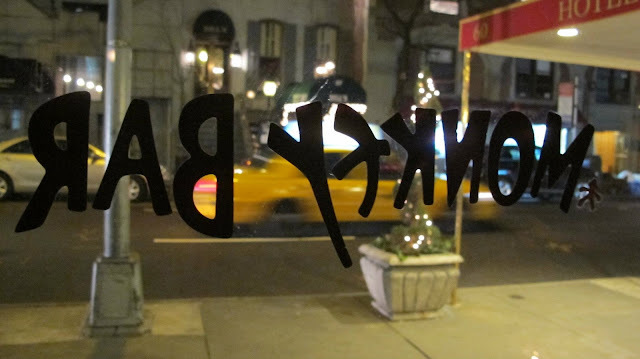 Minetta Tavern Gift Certificate - opened in 1937 in Greenwich Village, the Minetta Tavern is a landmark and an old haunt of the Loungerati. When restauranteur Keith McNally took over the location in 2009, he made it a food and cocktail destination. The best Cote de Boeuf in New York is worth the wait! On December 5, 1933, the 21st Amendment to the United States Constitution became the law of the land. This piece of legislation repealed the 18th Amendment's Prohibition of alcohol. The last state to ratify the amendment in the State conventions, thus passing the 3/4 majority required to amend the Constitution under Article 5, was Utah! So let's all toast Utah! Section 1. The eighteenth article of amendment to the Constitution of the United States is hereby repealed. Section 2. The transportation or importation into any State, Territory, or possession of the United States for delivery or use therein of intoxicating liquors, in violation of the laws thereof, is hereby prohibited. Section 3. This article shall be inoperative unless it shall have been ratified as an amendment to the Constitution by conventions in the several States, as provided in the Constitution, within seven years from the date of the submission hereof to the States by the Congress. On December 5, 2006 Loungerati was formed to fill the void for lounge website Tommywhitetie.com which was closed down by it's eponymous founder. A select group of Loungers refused to go quietly. It wasn't last call yet, and there was an open bar of opportunity and ideas. Loungerati was born on a cocktail napkin at a bar called Brooklyn Social in Carroll Gardens, Brooklyn and institutionalized with the epic Lounge Doctrine delivered by The Senator at the Algonquin Hotel bar the following year. Loungerati continues to serve as an outlet to those who enjoy Lounge culture, the sporting life, exquisite cocktails, classic music, and a good time! Please join us at the legendary Monkey Bar in New York City late Saturday night December 8th to celebrate your right to imbibe and Loungerati's 6th Birthday! Lounger Number One for 2012 awarded posthumously to the impresario, Brian F. Paynter. Welcome to the Best of Lounge 2012 Voting! Nikki Le Villain's "Egyptian Snake Dance"
Deadline to cast your votes is November 30th, the winners will be announced on Loungerati's 6th birthday Dec 5th (Repeal Day of course). This week we lost one of our own. 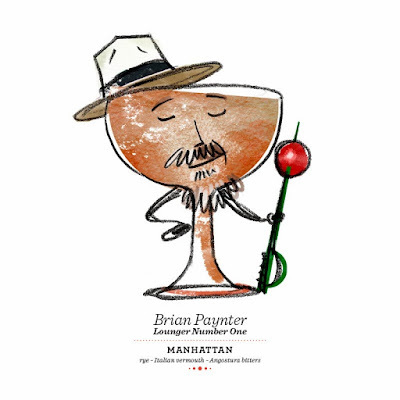 The venerable Brian Paynter was an iconoclast and true original. When he walked into a room, he exuded charismatic presence, and left a memorable impression on all who met him. Brian was an old school New Yorker of Dutch and Lithuanian descent who grew up on the Upper East Side during the rough and tumble 1960s and 1970s. He was devoted husband, a loving father, and a church going man. Brian was a straight shooter who carried himself with charm and panache. He was larger than life and like no other person I know. 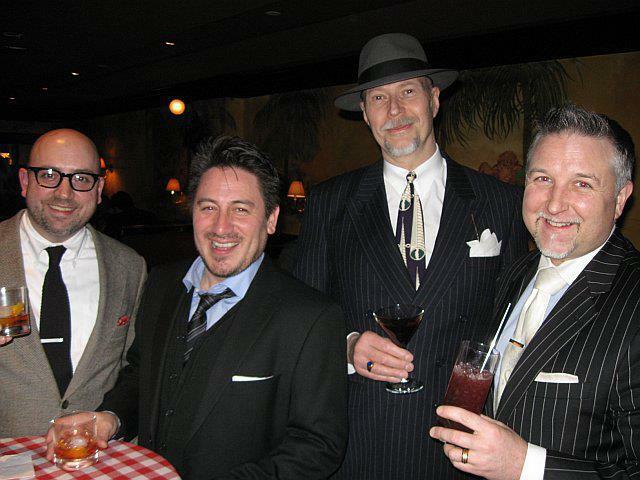 He had a big heart and was a massive influence on me and the vintage/lounge community. Let me be frank, if it were not for Brian Paynter there would be no Loungerati. If not for Brian, I would not have a love for cocktails that has become a passion. If not for Brian I would not know houndstooth from glen plaid, pork pie from Homberg, Xavier Cugat from Desi Arnaz, Cohiba from Montecristo, Lost Weekend from The Apartment. To say that he left an impression on me and countless others who live by the lounge creed is an incredible understatement. Brian was our standard bearer. He was first class like Nick Charles. Brian embodied the very foundation of Lounge living and did it without pretense. In Brian's world, loyal phone company working class guys could be as dapper as Humphrey Bogart or Fred Astaire and stroll Fifth Avenue like they owned it. In Brian's world, putting a little extra effort into how one presented themselves was not an outdated concept but rather a mark of one's character. Brian was my mentor, my template for behavior and sartorial expression. In the cocktail community, old time bartenders often talk of discerning clients who insisted on classically made cocktails well before the current cocktail Renaissance began ten years ago. They called these die hard aficionados "lone samurai" and credit their insistence on specific ingredients and well made cocktails as inspiration for a career in mixology. Well, Brian was one of those lone samurai. When I met Brian 15 years ago at a cigar bar called Cigargoyles in Brooklyn Heights, he was drinking a Canadian Club Rye Manhattan in a gray flannel suit and felt fedora. He was suave yet approachable and down to earth. I was impressed and this experience was a game changer. The lone samurai soon had traveling companions - dozens and dozens of finely attired, jazz loving, swing dancing, cigar smoking, cocktail drinking regular folks determined to live life to the fullest. Brian passed away at 10pm on the evening of October 24th surrounded by family. Brian had been fighting Leukemia for three years and though he put up a valiant fight, he ultimately lost the battle. I was lucky enough to stop by the hospital last week to say good bye. I found my old friend, alert, in incredibly good spirits, telling jokes, talking about old movies and a recent jazz show he had attended. I had smuggled in a flask of pre-mixed Manhattan and we shared a last drink. He appreciated it. Brian expressed that he had lived an exceptional life and was blessed to have a beautiful super smart daughter and the best wife on earth. Damn straight! I could not muster up the actual words "good bye" so we shook hands and he said, "I'll save you a seat." And he meant it. Brian, I shall never forget you. I would not be half the man I am today without you in my life and I owe you big time. My heartfelt condolences go out to the Paynter family and Brian's legion of friends during this difficult time. Thank you again old friend. Rest in peace. I am indebted to you for the generous gift of your friendship. I learned something new every single time we spoke. You were always the best dressed guy in the room and I wouldn't have had it any other way! You kept me entertained with tales of your New York: volumes of stories which somehow never repeated themselves. You shared insightful predictions on experiences us guys younger than you have yet to experience. I look forward to testing their reliability and validity. But already know you were right. Lastly, thanks for the trust you put in me: those times meant the world. And in a little way, let me kid myself that I somehow didn't owe as much a debt to you as I did. But in true Brian Paynter fashion, he slyly stepped away from the table and settled the bill before others could pay their share. I'll try and pick it up sometimes for other fellas...with loving gratitude to you. Joaquín Simó (Tales of the Cocktail American Bartender of the Year, 2012) partners up with Toby Maloney (Alchemy Consulting), Troy Sidle and Jason Cott to open up a new East Village cocktail destination. This collaboration has been hotly anticipated by cocktail lovers who flocked to Death & Company for Simó's drinks. Joaquín brings his signature attention to detail and D&C tradition of layering flavors to his new boite Pouring Ribbons. Maloney (a Milk & Honey and Pegu Club alum) and company bring an impressive record of opening award winning operations like Patterson House (Nashville) and Violet Hour (Chicago). Needless to say, with this pedigree, Pouring Ribbons could quickly rise to the top of New York's cocktail pantheon. The entire bar is on the second floor above a liquor store at 225 Avenue B near 14th Street. When we rolled up, there was a ear piece totting doorman who on door control duty. After two unsuccessful attempts to radio upstairs to check capacity, he cried UNCLE and sent us up. I expected a D&C style wait and was pleasantly surprised for the easy access. Up the stairs, we entered an airy 88-seat bar with a curvy wood bar, and plenty of banquette and table seating. There was more of a saloon vibe to the place which is a nice departure from the standard speakeasy motif. A smiling hostess greeted us, asking our preference for table or bar? One can stand in the bar space at Pouring Ribbons, so we chose that option until a seat opened up. We wanted to see Joaquín at work and got quite a show. The cocktail menu is succinct and simple which is a nice departure from the encyclopedias handed out at some bars. The menu is divided into two main sections, classic drinks made to your preference (negroni, manhattan, mai tai, etc) and 15 house cocktails. According to Simó, the best selling house cocktails are a delicious concoction called Death &Taxes (Dorothy Parker Gin, Lemon, Clear Creek Blue Plum brandy, Lavender-infused Cinzano Bianco, acai honey syrup, grapefruit bitters) and the Dueling Banjos (Weller Special Reserve Bourbon, Lemon, Eagle Rare Bourbon, Pierre Ferrand Dry Curacao, and Coconut milk). My favorite, The Death & Taxes, was reminiscent of an Aviation cocktail but with a layers of floral and fruit flavors from the brandy and infused vermouth. The Dorothy Park American gin was definitely prominent and overall the drink has a thirst quenching feel to it. The house cocktails are expected to change seasonally so expect lots of exciting variations on classic and new favorites. The ice program here is serious too, with hand carved blocks and cylinder shaped pieces fitting snug in elegant glassware. 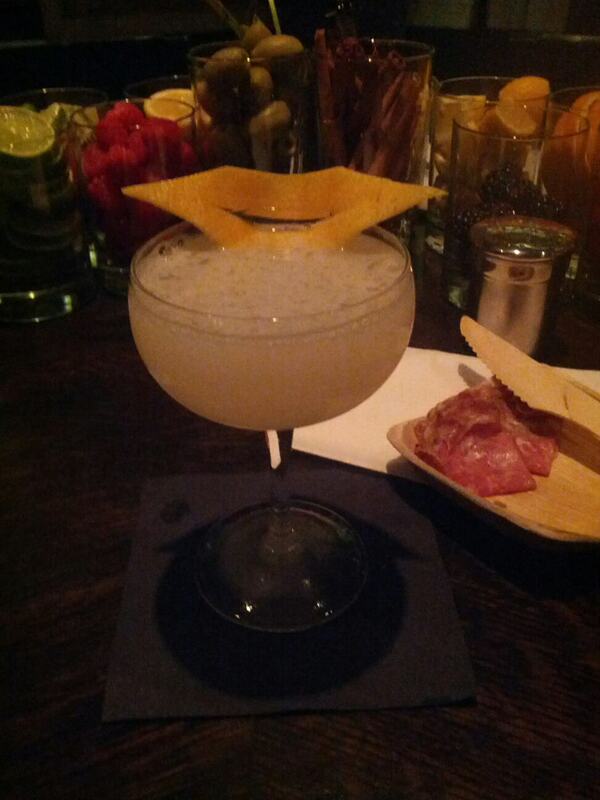 Even the garnishes were artistic with grapefruit peels cut into the shapes of lips. It is noteworthy to add that these extra touches of fancy did not come off as ostentatious given the general welcoming and egalitarian feel of Pouring Ribbons. There are also small plates available (Beecher's gourmet cheese, charcuterie platters, and other delectable tidbits) and the wine and beer selection is top notch. No reservations, no dress code, come as you are, and enjoy yourself. New Yorkers and all Americans remember with choked up feelings when we read the names of the fallen, especially the names we know. Loungerati takes this opportunity to salute the 76 bar and restaurant workers at Windows on the World who lost their lives that fateful Tuesday morning in September. They were part of the working class ordinary folks who make New York City great. We also lost a place called the Greatest Bar on Earth which provided us with so many memorable experiences. 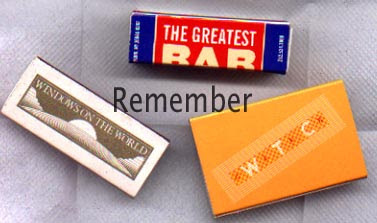 The Greatest Bar on Earth ("GBOE"), which occupied the 107th floor of the North Tower, hardly lived up to it's name. Nevertheless, it was home for metro area Loungers every Friday night during the late 90s and early 00s. Sure, when you ordered an Old Fashioned you may get a concoction mistakenly made with Worcestershire sauce in lieu of Angostura bitters, but we would assist when necessary and always leave generous tips. When a swinging band like Jet Set Six were playing or the vanguard burlesque act The Pontani Sisters teasing the crowd, the place was pure magic! 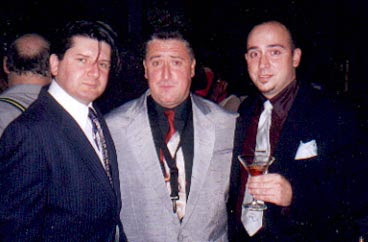 We loved GBOE and during our last visit on August 25, 2001, we enjoyed the Louis Prima stylings of the Ray Gelato Giants from London. GBOE was a standard on the neo-swing, lounge, and jazz circuit. It was a place we would go to warm up for the Supper Club later in the night. Loungers from that era continue to miss the GBOE wholeheartedly and the community it created. More important than any establishment, we honor the wonderful folks who made the trip to the top of the tower so unique and are sadly gone. Etiquette deems that one cannot wear white after Labor Day but there is no mention of white cocktails being verboten! Let me introduce you to the Negroni Bianco or “White Negroni”, a perfect drink for the transition to Autumn. For years, I would request a White Negroni at select New York cocktail destinations when by chance I saw a bottle of a coveted French bitter aperitif called Suze on the shelf. I would only ask if the bartenders or bar owners were friends. I held no ill will if they refused to dip into their super secret stash of Suze to accommodate me. This liqueur was not available in the United States and bartenders in the know smuggled it in the country on return trips from Europe. So, it was pretty special to have one given the limited supply of Suze. 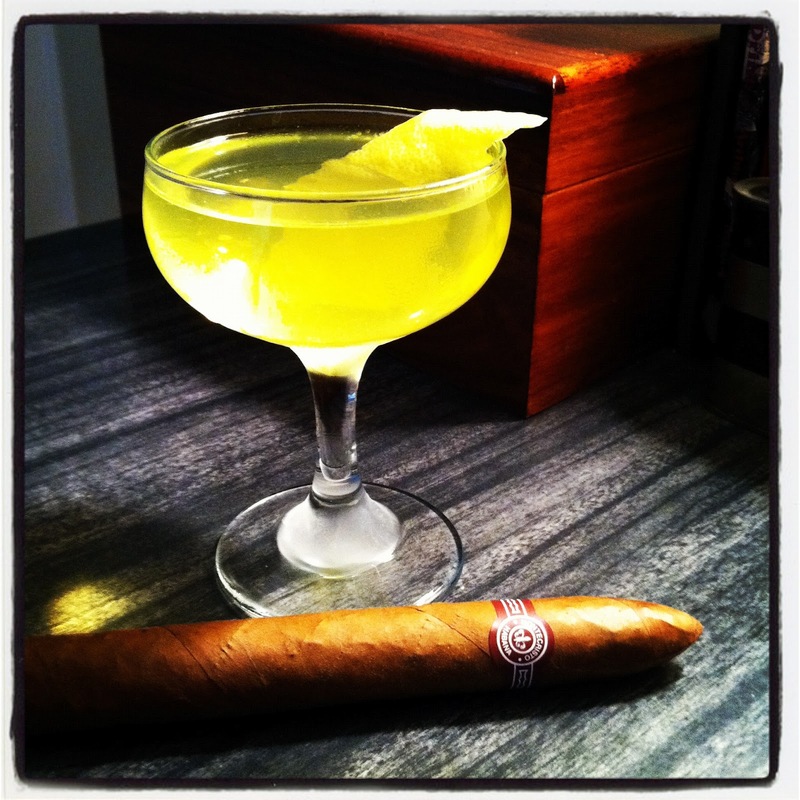 “British Cocktail King” Wayne Collins created the White Negroni in 2002 and leveraged the Negroni lighter sister ingredients by using gin, Lillet Blanc (a French fortified wine), and Suze. Lillet took the place of sweet vermouth, while Suze replaced Campari in the classic Negroni formula. The proportions were modified from the classic equal parts recipe by increasing the gin to a full jigger. I believe this was done to counter the complexity and earthy tones of the Suze. In my adaptation, I have swapped out London Dry gin for an American Navy Strength gin, and returned the proportions to equal parts. I also use Dolin Blanc vermouth in lieu of Lillet Blanc, because Dolin Blanc at its core is a sweet vermouth. I stuck to the original lemon peel for garnish since I think Collins had it right regarding the lemon oils. I have made this drink with orange peel too; it is delicious and the orange peel is more like a traditional Negroni. Perry’s Tot Navy Strength Gin (57% ABV) - As with the classic Negroni, the bianco version requires a gin with the fortitude and depth to stand up the robust flavors of the bitter and sweetness of the vermouth. One could go with a classic London Dry gin such as Beefeater, but I prefer to up the ante and the proof of this libation. So I went with Perry’s Tot Navy Strength Gin from the New York Distilling Company. Distiller Allen Katz honors 19th Century American Navy legend and former Commandant of the Brooklyn Navy Yard, Matthew Calbraith Perry with this classic navy strength gin. This variety of gin distilled at 57 % ABV which is the historical proof at which gunpowder might still be fired should it unfortunately be soaked by spilled spirit. Katz also tips cap to the Navy tradition by referencing the standard gin ration measurement or “tot” (roughly 1 oz) provided to British Commonwealth sailors during the 1800s. Weighing in at 114 proof, Perry’s Tot not only stands up to the Suze’s complexity, it is also chock full of bold flavors. Besides the traditional signature botanicals such as juniper, citrus peels, and cardamom, Perry’s Tot is also infused with wild honey flower. This recipe results in a clean juniper taste with both subtle and intense flavors of citrus and spice. Suze (20% ABV) is a French wine-based liquor whose prominent flavor is yellow gentian root. It is considered part of the “bitter” family and has been continually produced since 1889. Artist Pablo Picasso was so inspired by the spirit that he memorialized it in his 1912 "Verre et bouteille de Suze." The impressive history aside, Suze has been a precious commodity to drinks aficionados since Wayne Collins put it on the cocktail map with his White Negroni. It was not available in the United States – until now! For Suze's U.S. launch, the manufacturers resurrected creator Fernand Moureaux’s original 1885 recipe. Much like Lillet, modern day Suze has been modified to accommodate the modern consumer tastes. So the bitter or quinine taste profile was lowered and sweetness increased. 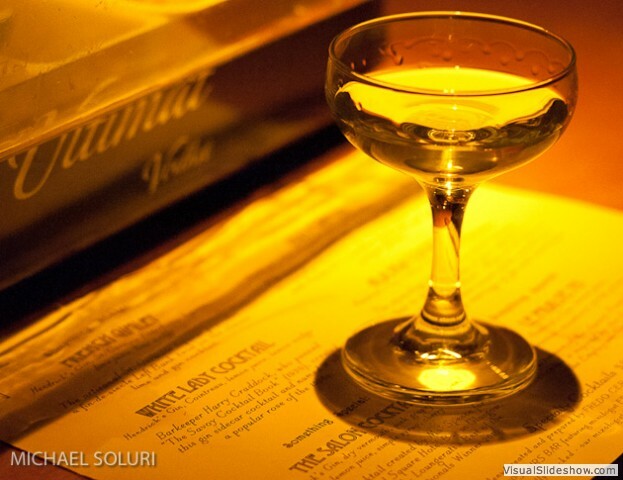 However, Pernod-Ricard (owners of Suze since 1965) are big supporters of the craft cocktail movement. They understand the demand for authenticity when it comes to flavor profiles from specific eras. The original formula and name of the newly available spirit is Suze Saveur D’Autrefois - which translates to “old flavor”. The Suze Saveur D’Autrefois is now available in the United States and distributed by Domaine Select. It retails at about $30-35 for 1L bottle. Dolin Blanc Vermouth (16% ABV) - Maison Dolin et Cie produces a premium brand of vermouths from the alpine Chambéry region of southeast France. Vermouth de Chambéry has also received the appellation d’origine controlée (a.o.c) certification due to the unique characteristics of the soil of the area. The Blanc is produced like un-aged sweet vermouth that is infused with 54 plants and herbs that includes rose petals but none of the ingredients that create the red color. It is a more thoughtful variation of the mass produced bianco vermouth but with the unique aromatic vegetation of Chambéry. Domaine Select also imports Dolin vermouths, which have a very economical price point of $16-20 for a 750ml bottle. If you do not have access to Suze Saveur D’Autrefois yet but want to enjoy a White Negroni, I recommend Grand Classico Bitter or Bittermens Amere Sauvage - Gentiane Américaine as a worthy substitutes. Method: Combine vermouth, Suze, and gin in a mixing glass. Add ice and stir until well chilled. Strain into a cocktail glass or coupe, garnish with fresh lemon peel. Our mission is to create an outlet for like-minded individuals united in the pursuit of lounge culture. We will provide reviews of cocktails, lounges, bars, events, as well as articles, entertainment, and commentary. Keep your eyes open for Loungerati sponsored events and cocktail menus near you! Best of Lounge 2015 - Vote Early and Often! Happy Repeal Day and Loungerati's 9th Anniversary! Enjoy your Constitutional Right to Imbibe! ©2006 - 2017 LOUNGERATI – All rights reserved.